EU-OSHA is the European Union information agency for occupational safety and healthy. 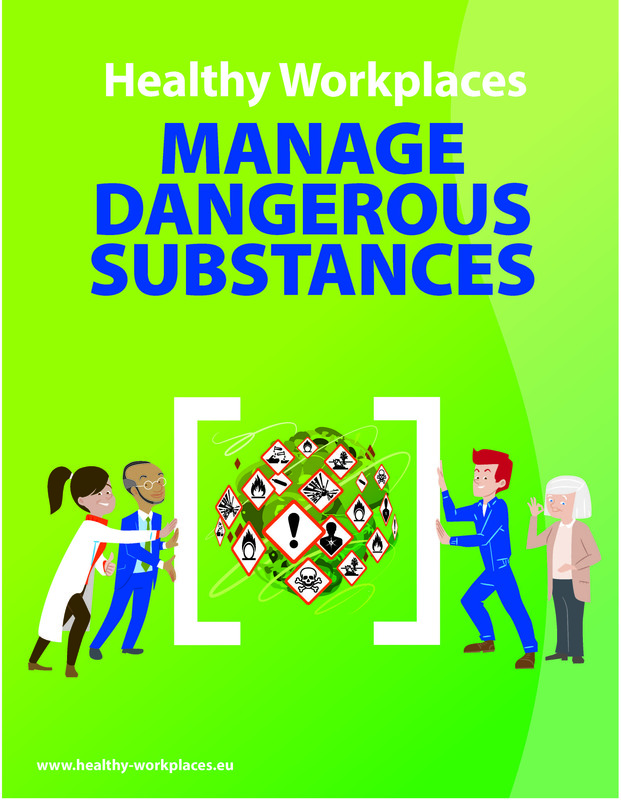 Its Healthy Workplaces Campaign for 2018 to 2019 is 'Healthy Workplaces manage Dangerous Substances'. The Healthy Workplaces Campaign 2018-2019 will be launched on 24 April 2018. Dangerous substances continue to be a major safety and health issue, affecting millions of workers across Europe. But the extent of this exposure and the associated risks are often underestimated or ignored. EU-OSHA’s upcoming Healthy Workplaces Manage Dangerous Substances campaign challenges common misconceptions, raises awareness of the risks and disseminates good practice and resources for effective management of dangerous substances in the workplace. In addition, there is emerging evidence that workers in growth sectors such as social and health care, transport, waste and the recycling industry may experience high levels of exposure to dangerous substances. In all sectors there are typical working tasks that often involve exposure to dangerous substances, such as food preparation (canteens, catering, etc. ), cleaning and maintenance. However, no sector is completely free of dangerous substances, and it is vital that employers assess the risks that their workers may face.